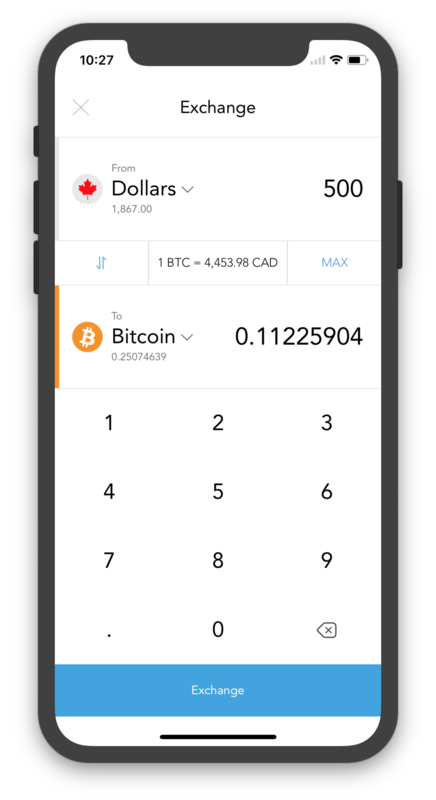 If you want to buy BTC or ETH, make sure you have dollars in your Canadian dollar wallet. When you are on the main screen of the app, click on the "Exchange" button on the navigation bar. On the Exchange page, the default "From" wallet is your CAD wallet. This will enable you to buy crypto. buy ETH, tap on the "To" wallet and pick "Ethereum". 3. Input the amount of CAD you are exchanging. 4. Hit the exchange button! Once you enter the amount, the other fields will display the BTC or ETH you are buying, with our fee of 0.75% included. 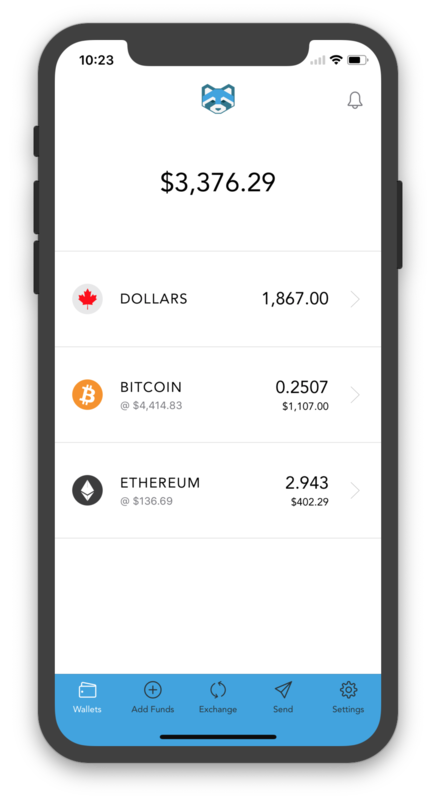 Hint: When you are looking to sell your BTC or ETH, you can change the CAD wallet in step 1 to your BTC or ETH wallet.